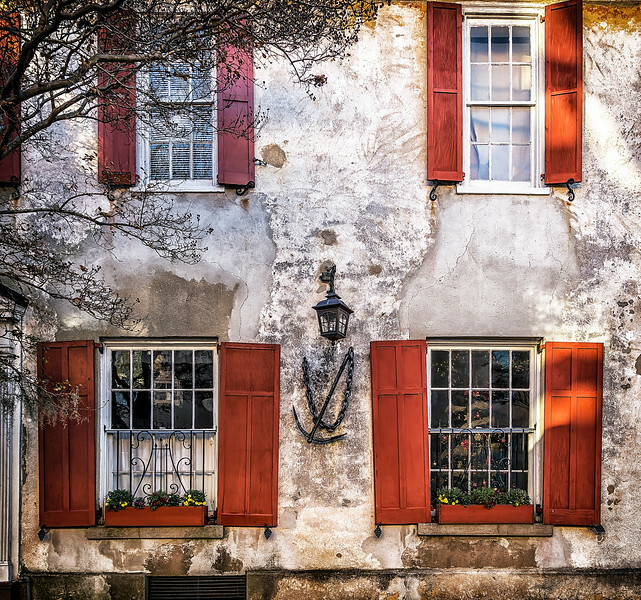 Charleston's French Quarter is filled with these neat pre-civil war-era houses. It's definitely got that "old and warn" vibe going on. It's kind of like a torn pair of vintage jeans that everyone considers stylish. And of course, the no painting or repair philosophy does make life a bit easier.